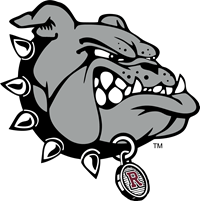 The purpose of the Rossford Athletic Boosters Club is to foster the development of the Rossford student athletes by providing financial support to the athletic programs and awarding scholarships to college bound athletes. The Boosters are led by parent volunteers who lead fund raising efforts and review and authorize the financial support given. Over the last two years the boosters have provided $45,000 to Rossford Athletic Programs. The items purchased with the support allow the athletic programs to fill needs that they otherwise would not be able to purchase. Examples of items purchased include uniforms, scoreboards, and training equipment. The Booster Club has awarded $2,000 annually in scholarships for student athletes to attend post-secondary education. Booster Club meetings are held on the second Sunday of every month at Indian Hills at 7 p.m.